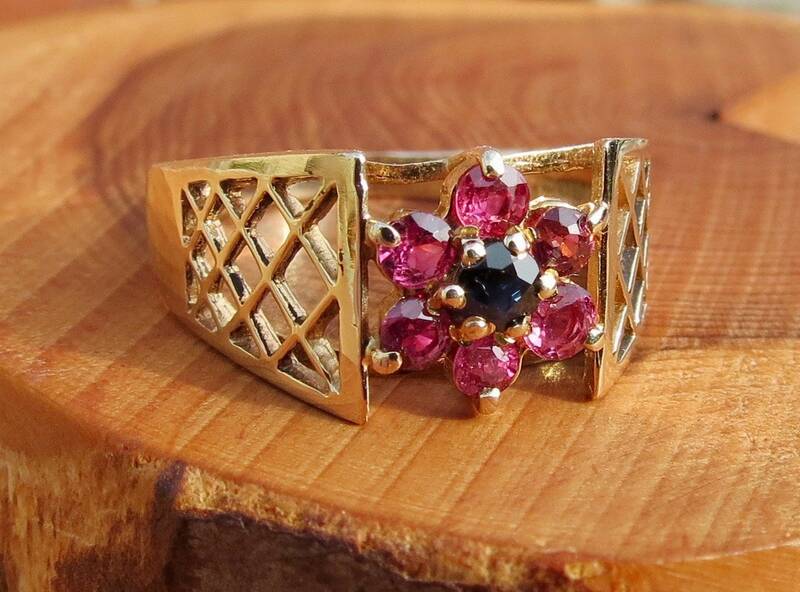 9k yellow gold ring has six round cut rubies, mounted in a daisy arrangement setting with a round cut sapphire at the centre. 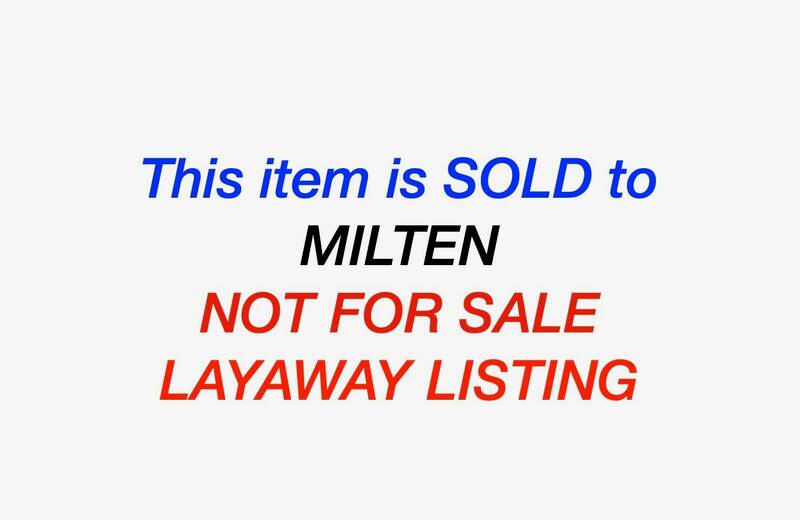 Decorative latticed shoulders lead to a plain band. 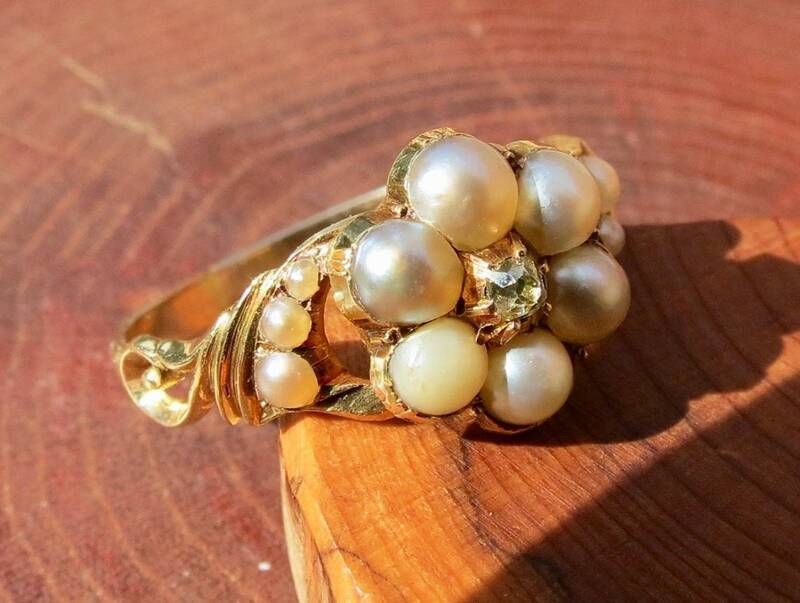 Antique 18K yellow gold pearl and diamond ring dates to the late 1800's, and is known as a mourning ring. 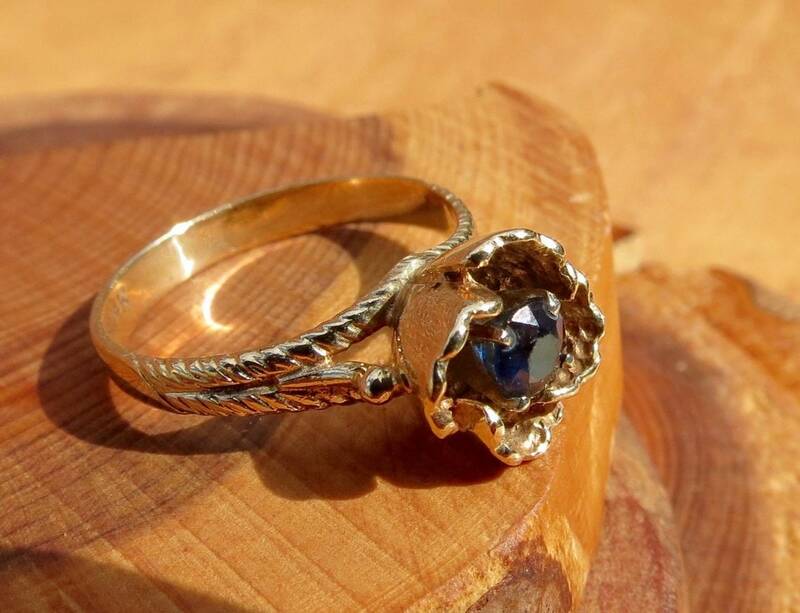 14k yellow gold ring has a deep blue round cut sapphire set in floral gold petals, with rope style shoulders leading to a plain band. 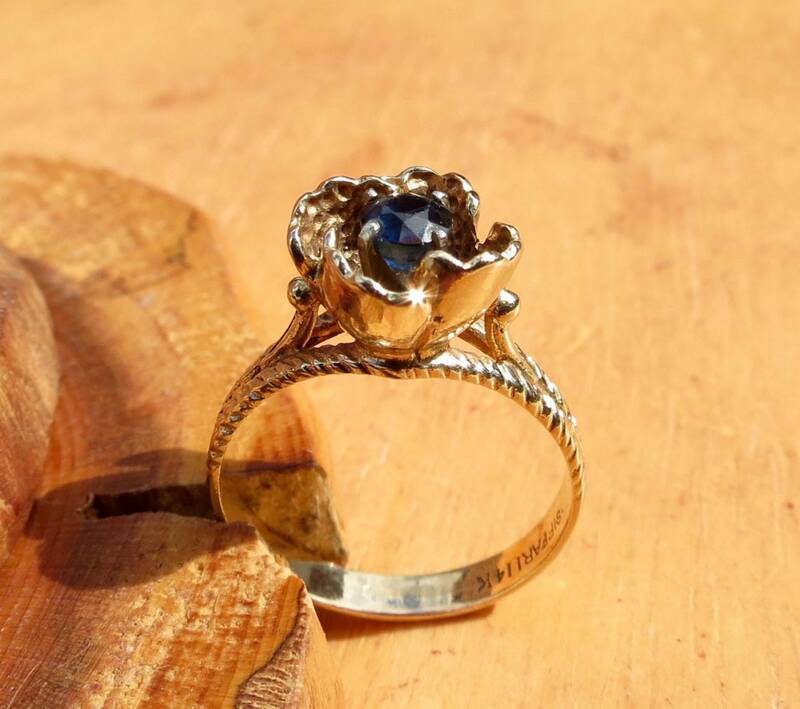 A unique flower ring from the SAFFARI collection. 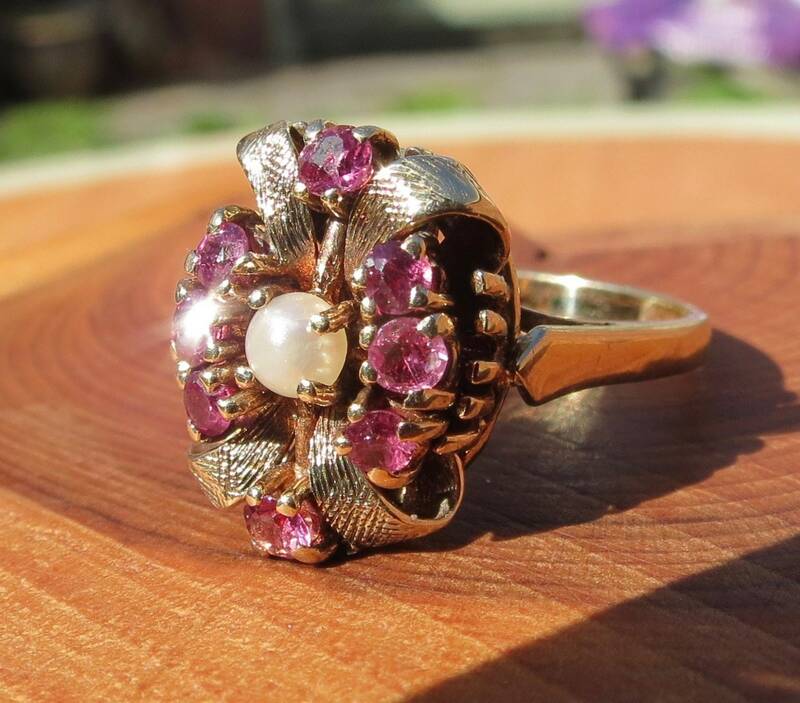 Hallmarked 14K SAFFARI. 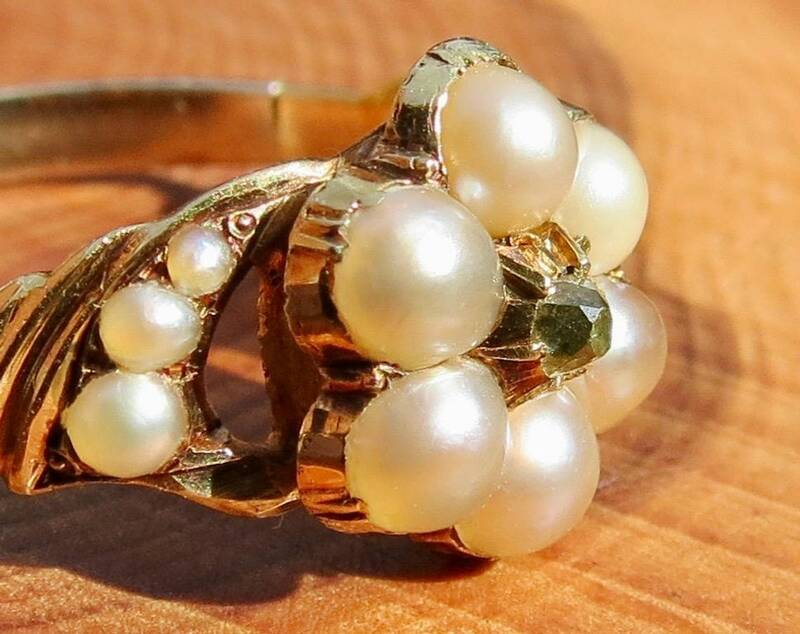 1964 vintage 9k yellow gold cluster ring has a central natural pearl with eight ruby accents decorated ribbons of gold. 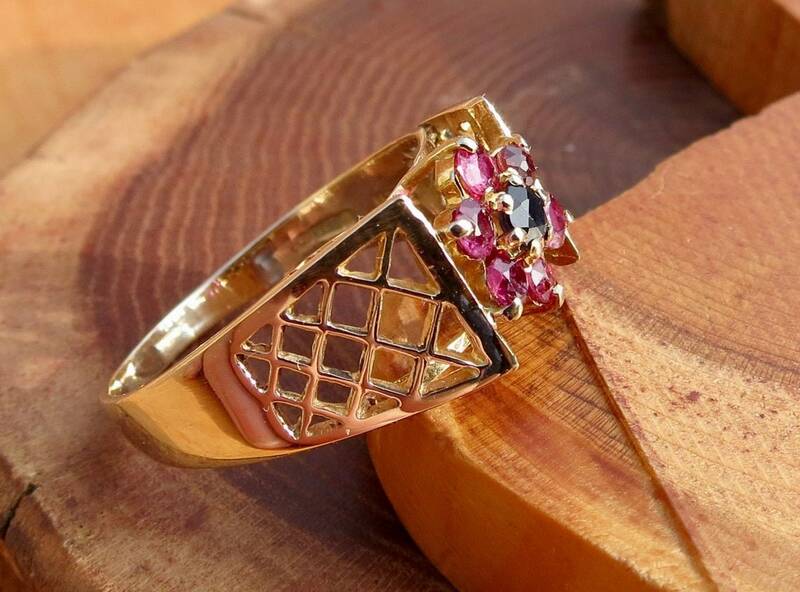 An intricate closed gallery at the underside of the ring shows the complexity of the Goldsmithing. 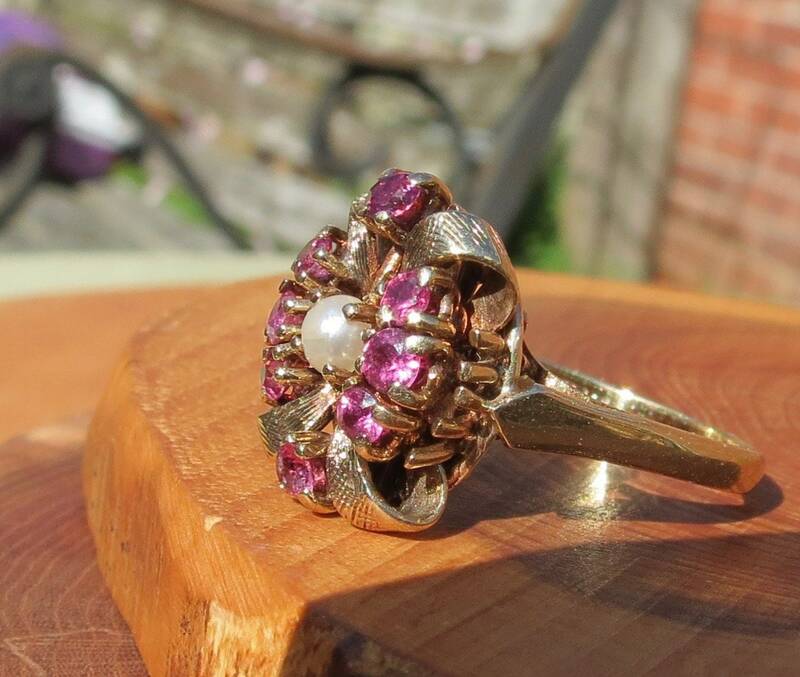 Bracket shoulders lead to a plain band, full English Hallmarks 9k gold London England hallmarked letter i for 1964.